Originally written in Swedish in 2015 by Sara Stridsberg, Why Not Theatre’s production of The Art of Falling will transport its audience to the East Coast of the United States, telling the story of a unique mother and daughter duo, Big and Little Edie. 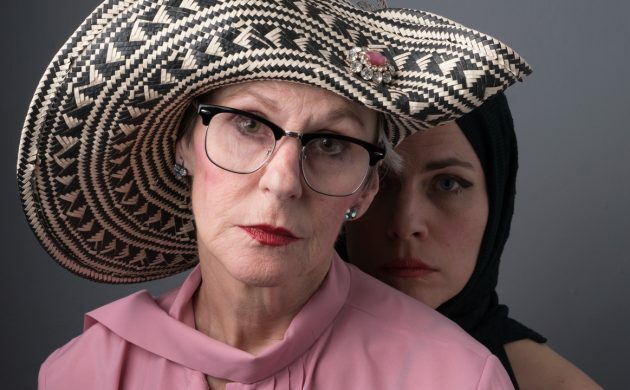 The script of this absurd tragicomedy is based on the real-life story of Jackie Kennedy’s reclusive cousin and aunt, a story originally introduced in the cult 1975 documentary Grey Gardens, which later inspired an acclaimed TV movie starring Jessica Lange. And this production is the first version of it in English. Big and Little Edie are former aristocrats now living in squalour in a big but completely rundown house in East Hampton, New York. The play’s smart commentary on the boundaries of high society makes the play a must-see. “The more we delve into the play, the more we realise that Stridsberg has been inspired by the documentary… but there are some quite vital differences and we are having fun discovering those differences and really exploring the subtext,” explains Why Not Theatre co-founder Sue Hansen-Styles, who plays the role of Big Edie in the play. Following in the tradition of the likes of Vita & Virginia and WIT, this play further reinforces Why Not Theatre’s mission to deliver experiences that cut across international and cultural barriers to connect with diverse audiences. Theatre review: Can you carry a secret to your grave? About Town: Vita, Virginia, Vivienne, they were all there!